The British Travel Awards is the largest and most influential poll of consumer opinion on the performance of leisure travel and tourism providers. Since 2008 we have been registering public opinion and rewarding companies considered by customers as the best at their business. Last year saw 334,522 consumers vote for their favourite companies and brands in the 13 weeks between July and September. These were not simple clicks on a Facebook “like” or Twitter “favourite” button - but individuals who took the time to register their details and make considered judgements on the companies they considered deserving of recognition. The British Travel Awards is established as the consumers “symbol of excellence”. Companies entitled to display a winner’s logo benefit from increased sales and enhanced market visibility. Voting is open to UK and non-UK residents who purchase leisure travel products and accommodation from companies operating in or offering online services to the UK market. 83 categories will feature in this year’s awards; 39 of which will be graded by company size. Details of the entry criteria can be found on the award categories page. 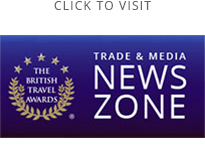 The British Travel Awards is a proudly independent organisation. Unlike other travel awards, we have no stakeholder ties or affiliations to any travel companies or trade publications - where public perception believes the results are all too often influenced by panels of travel industry pundits and the winners determined by the leverage of their advertising budget. The British Travel Awards is funded by the nomination fees, event ticket receipts and the patronage of sponsors who have identified the benefits of increased brand visibility and sales opportunities as our trade and consumer audience grows exponentially year-on-year. Deloitte perform agreed upon procedures on the online voting platform and the data it produces. These agreed upon procedures challenge unusual voting patterns and the scoring of the awards. The final results for all open voted categories will be sent to Deloitte and will be verified in October 2019.